Gardens are undoubtedly one of the most important things humans can put their time into other than their children. They are a place of work and rest; of food and medicine; of joy and learning, and of life and death. Gardens can be simple or complex, small or large, tiny; grown in containers, or rows or barrels, or raised beds. All are perfect and all are beautiful. 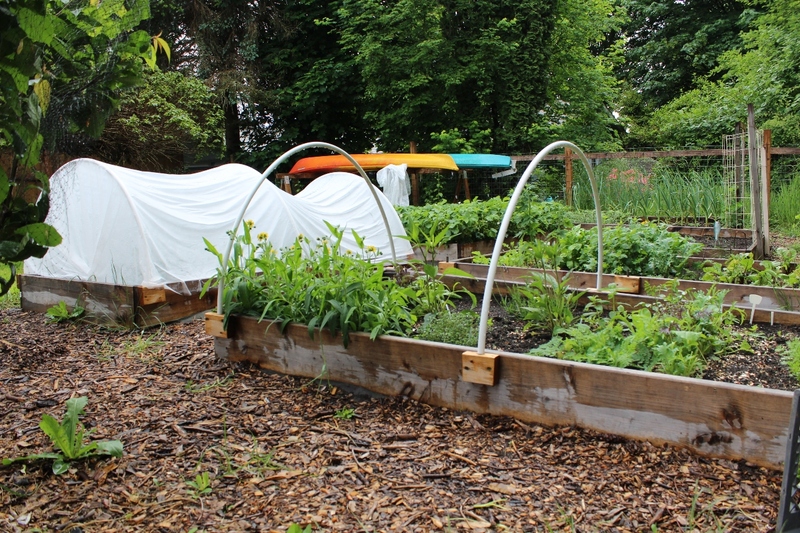 If you have no space for a garden, join a community garden. 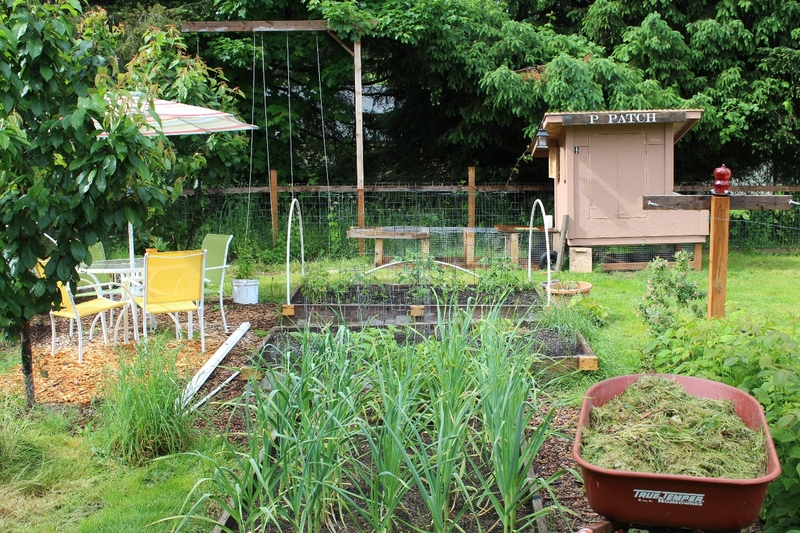 These tracts of land have free or cheap plots for individuals to make their own gardens, or sometimes the garden is ran collectively, and every participant gets a share. Either way–if you have no space, a garden is not impossible! Start Seeds Indoors. Starting seeds instead of buying starts can save you a ton of cash! Yes, sometimes it is easier to get starts, and it might be the best choice for certain things, especially if you don’t have a green house, but with a whole entire seed packet being three dollars vs. one plant being three dollars a piece, you can easily see how quickly it would all add up. Start seeds whenever it is prudent to do so, and you can do it easily and cheaply with a DIY grow light! 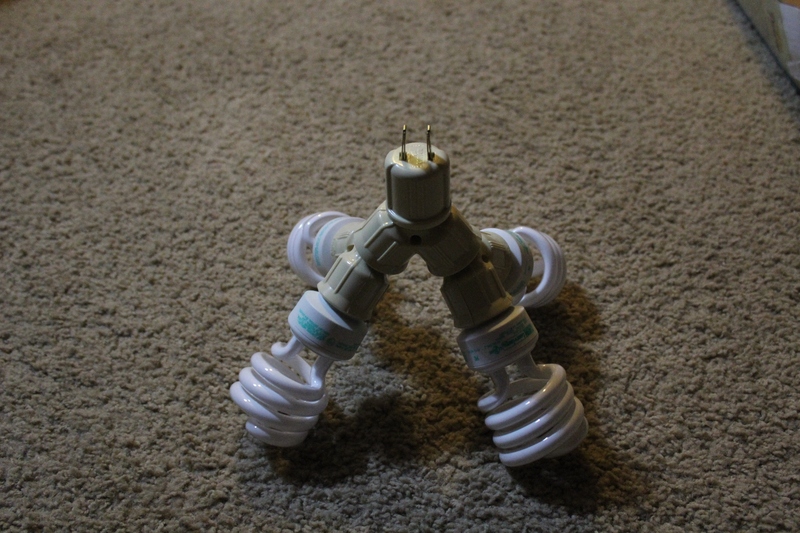 Build A DIY Grow Light. DH crafted an AMAZING, cheap and easy grow light for us this year. I think it cost a total of $8. 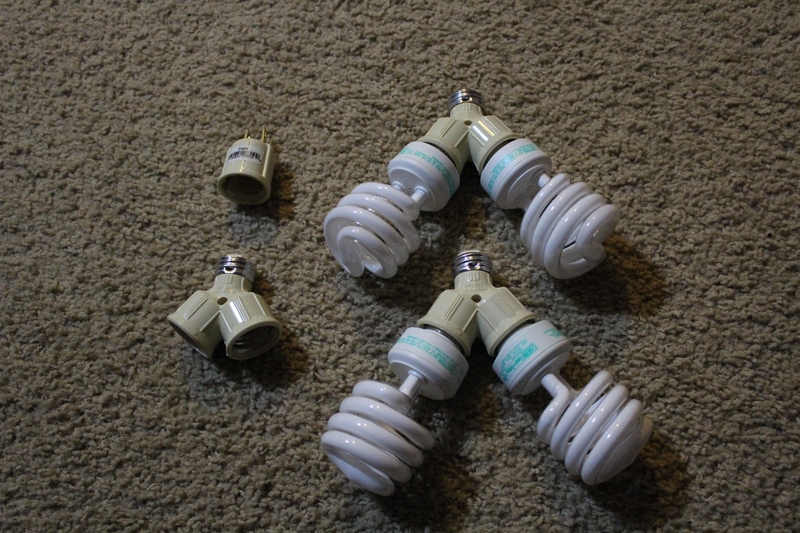 He used “Y” adaptors (for light sockets), a cardboard box from a 12 pack of beer, tinfoil, and daylight CFL’s, and a light socket to male-outlet adapter. 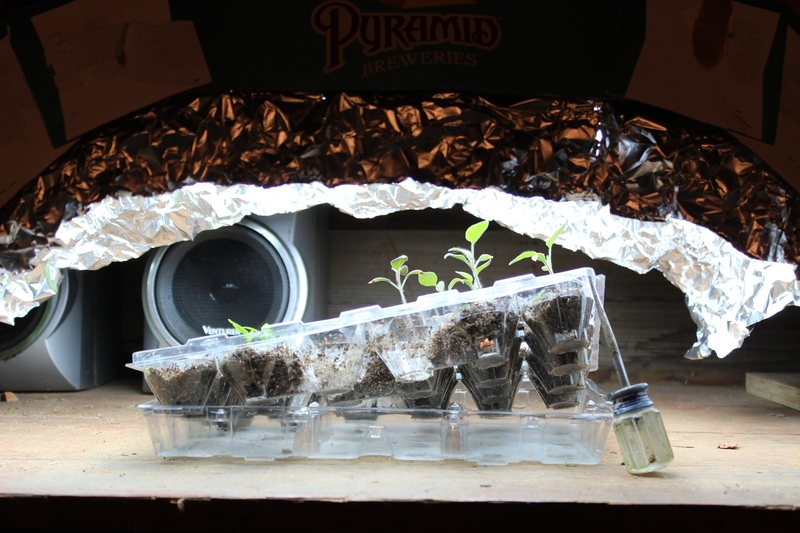 He screwed it all together, added the tinfoil covered cardboard box as the shield, set it all up on a timer, and grew some pretty amazing tomato plants! Way to go, DH! Use Only Heirloom, or Seeds That Don’t Contain the Terminator Gene. Everyone knows Monsanto is evil. They don’t want you to be able to save seed and feed yourself. Choose carefully when selecting your seed packets. Monsanto owns many companies and the seeds of those companies are engineered to not be able to be saved to grow for another season. Be certain that your seeds are from a reputable source, so they can live to grow another season! Take Cuttings From Plants You Already Have. Last year I bought tons of basil plants. Why? This year I broke a stem off of my basil plant, plopped it in a cup of water, and practically watched it root. It happened so fast! I put that baby basil plant out in the garden and it’s happy as ever. It’s not that easy with all plants, but don’t be afraid to give it a shot. Also, offer your neighbors some cutting of your plants– and hopefully they will offer you some back 🙂 Neighborly plant exchanges are a great way to save money! Join a Seed Exchange Club. These clubs are all over. My local library even hosts one, and I seem to miss the event every year. Look around on the web, ask your local librarian, and don’t forget to cruise facebook as a way to find these clubs. There are nationwide clubs as well as local ones. My favorite one on the web is here. This one is also good too. Join a Plant Exchange. Just like a seed exchange, but better! (In my opinion…) You get a plant ready to go. You can offer cuttings and bulbs for trade and make requests for items you’d like as well. My favorite plant exchange is here, and I have been watching my friend have great success on facebook with this exchange club. 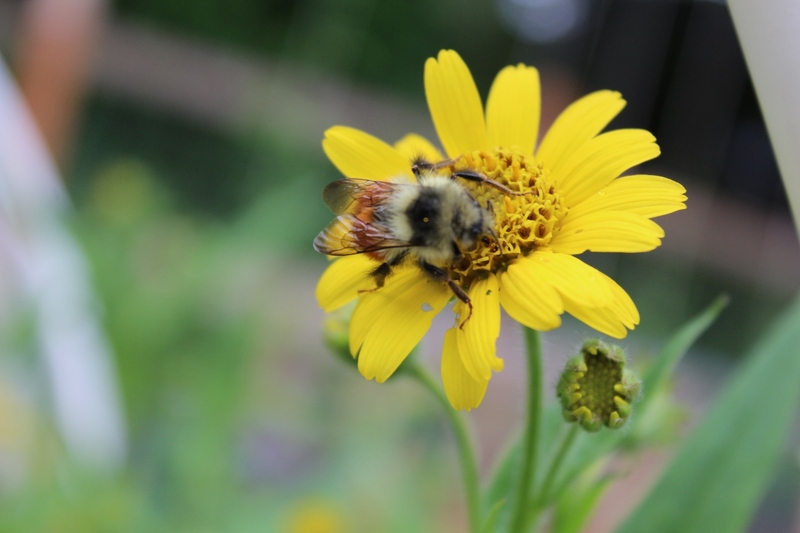 Also, if you are not familiar with Garden Web, check them out! It is the internet’s largest community of gardeners; all lovely people willing to help, trade, and chat. Salvage Your Garden Supplies. Old pallets are amazing for gardens. You can make a vertical garden, a compost bin, planter boxes, raised beds, or just about anything you can dream up from this often free resource! One of my favorite ideas for pallet planting I have seen lately is for planting potatoes. Check out this awesome tutorial. Also, I have recently read how a gardener gets free wood from commercial window glass companies. Industrial sized windows need hefty crates, and they will often give this wood away for free. I haven’t tried this idea yet, bu you bet I am looking up some glass companies in my area! Also, if you have a Habitat for Humanity ReStore near you, they are a great place to get used building materials. Greener, cheaper, a lighter footprint, and donating to a not-for-profit organization; you can’t go wrong buying from there. Repair Your Hoses. 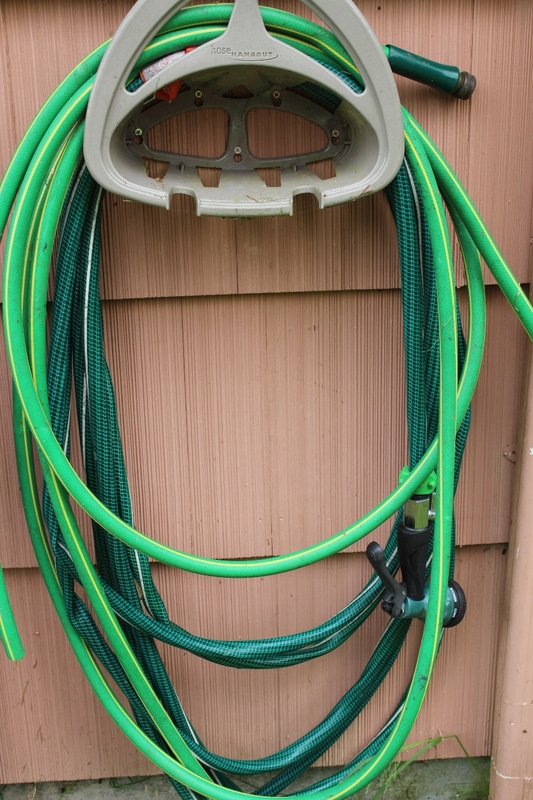 A leaky garden hose wastes sooooooo much water! Not only is there not enough water in the world to waste, but it cost money. And a lot of it. Our water bill doubles in the summer months, and we don’t even water our lawn! So repairing a leaky hose for us is vital, but it also saves money on the costly hoses. You can cut out the leaky section and replace it with a bit of pipe and some clamps. Our hoses are so old and have been repaired too many times; so this year we might have to pony up the cash to get new ones. Sometimes ya gotta. Water Efficiently. In the morning or late afternoon. Don’t water in midday only to have it evaporate. It’s bad for your plants, and your pocket book. Plant the Natives. Plant plants that are native to your area. They survive the climate, require less water, and are more likely to survive and thrive! Get Free Mulch! In my city there are a couple tree-trimming services that give away their wood chips. It is a u-load, u-haul set up, and DH and I have to make several trips in our truck (so it’s not often worth the time and gas for us). But, for those who need only a small bit, what a GREAT resource! What about you? 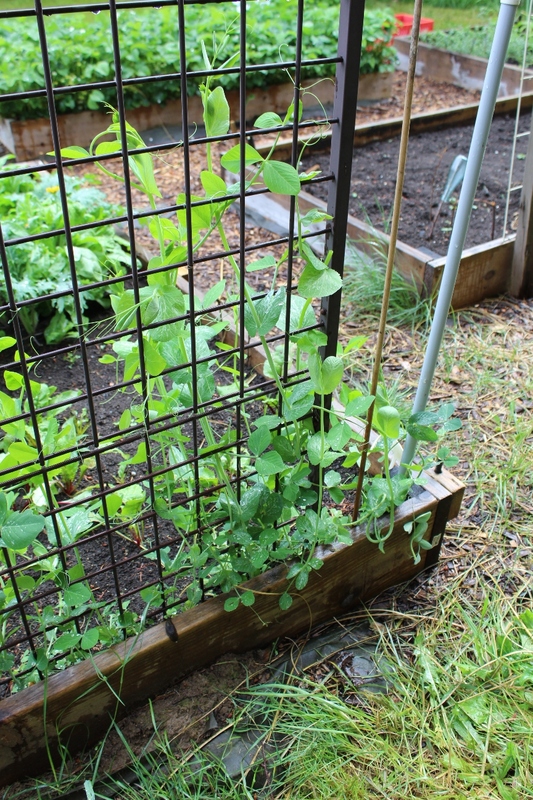 What frugal garden tips have you picked up along the way? Share your knowledge with us in the comments below, or join us on facebook and Pinterest! I can’t wait until I have space to start my own garden! I am honored to keep your old garden alive and productive. Thanks for getting it started and inspiring us! Excellent tips on how to save money on gardening! Thank you.